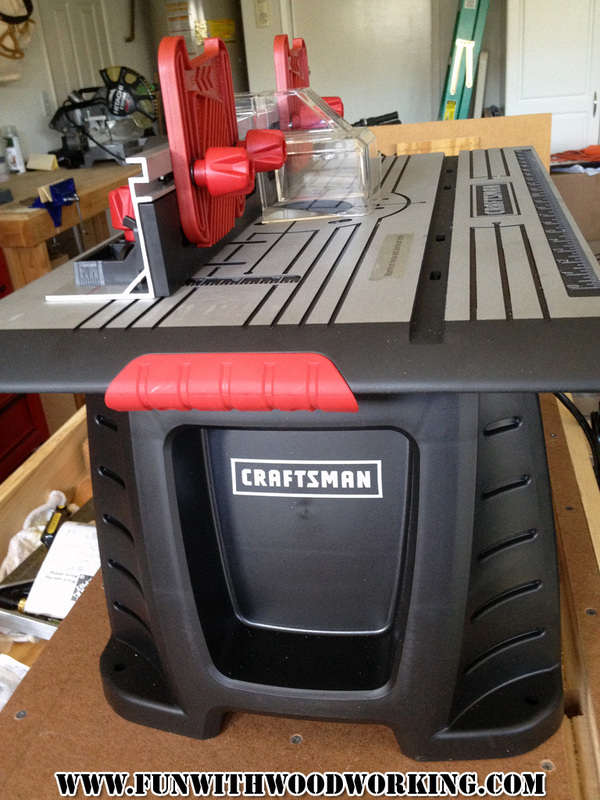 I put the new Craftsman router table together yesterday and it was much, much easier than the Ryobi. Each leg is held on by 4 bolts. 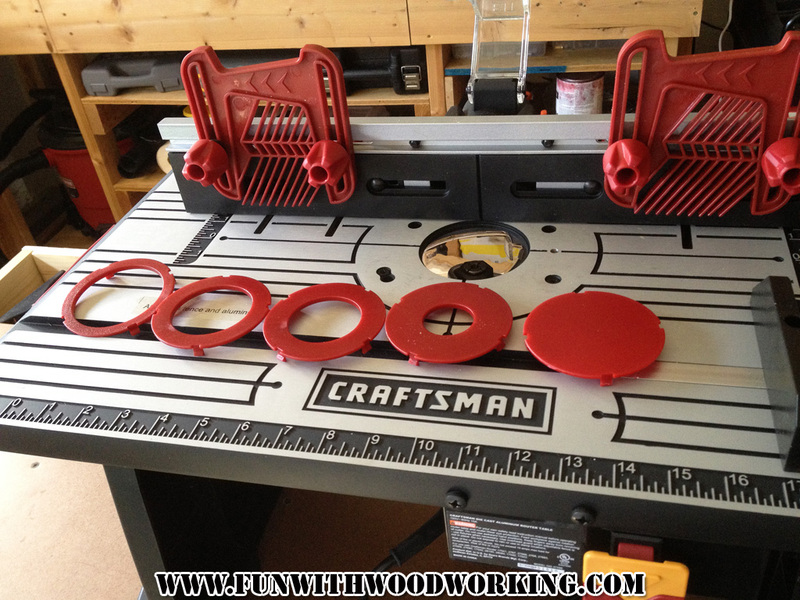 The vertical ones just screw in and have washers and lock washers. The horizontal ones have lock washers, washers, and nuts. I found a diagram in the manual for installing the model of my router and it screwed right in with 3 bolts and the height adjustment hole lined right up. I installed the fence and featherboards in a couple of minutes and the table is now ready for testing. routers and this one was on the list. Here is the fully assembled table. 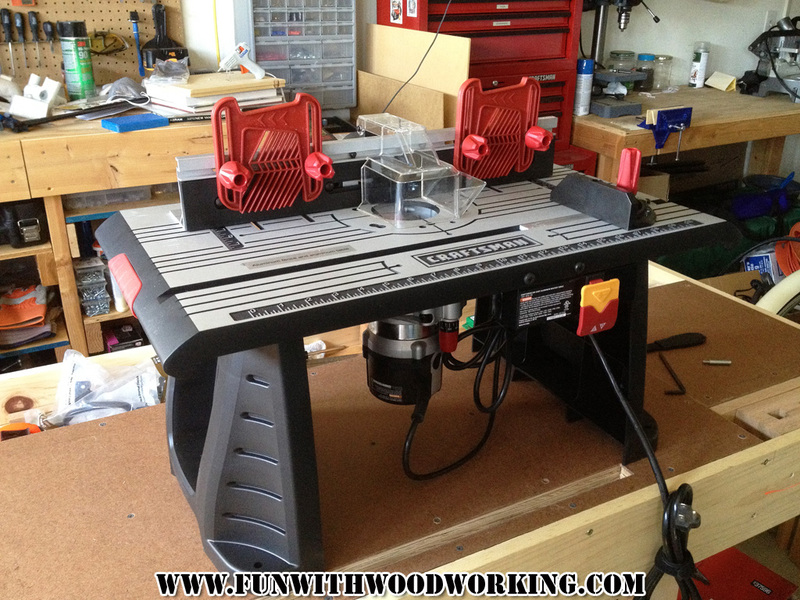 It went together much faster then the Ryobi table. I can’t remember what this is called but it is used for routing end grain and smaller pieces. This one is made out of metal whereas the Ryobi one was made out of plastic. It came with 5 insert plates. 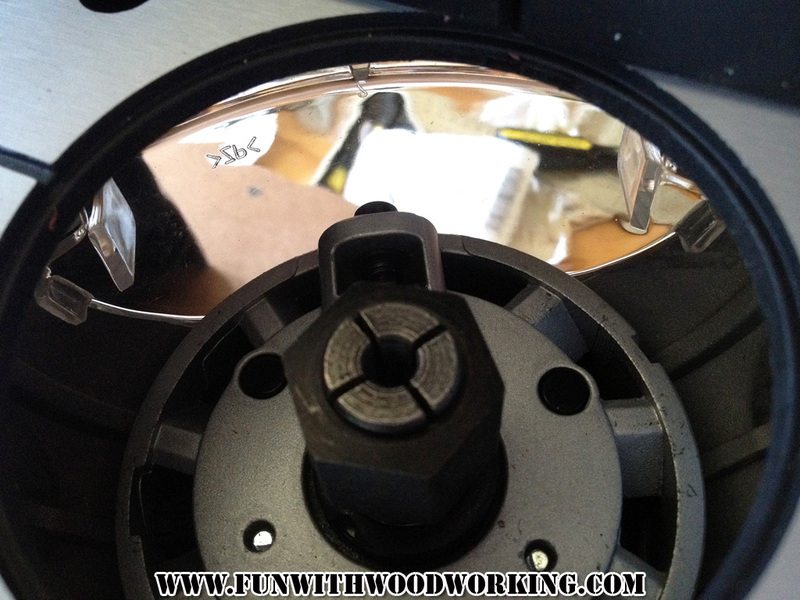 The Ryobi also came with 5 but they all had holes. I’m not sure what the solid one would be good for. 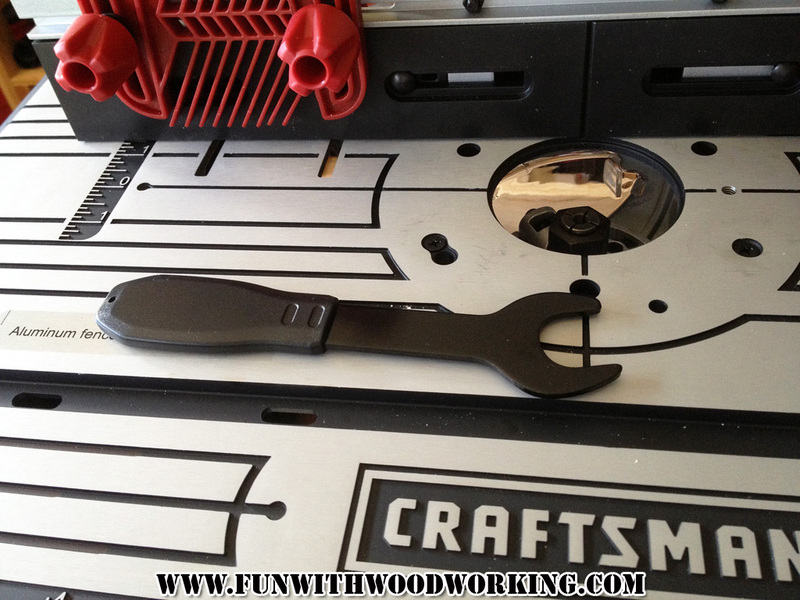 The included wrench has a wider handle built into the bottom which makes it a little more comfortable to use. 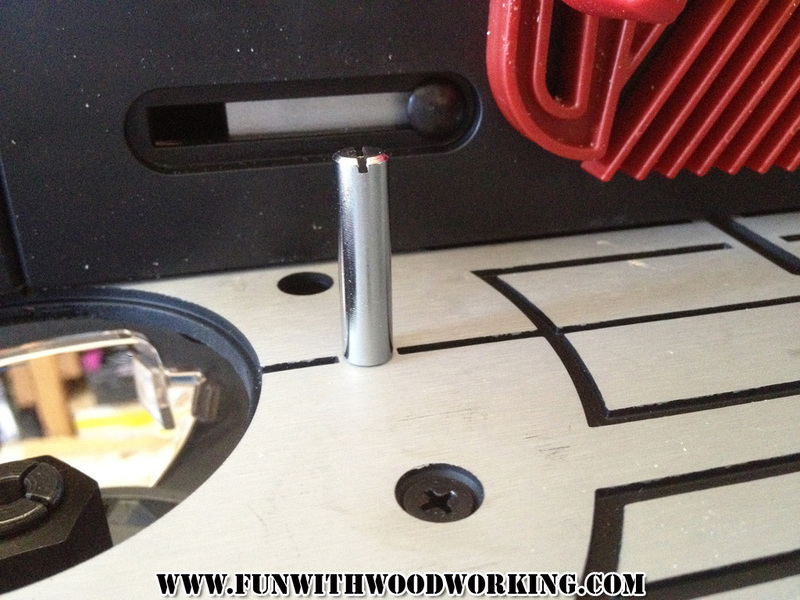 The router has a small push button to hold the shaft while you tighten or loosen the router bit. There is a small plastic shield behind it that you have to remove to reach the button. 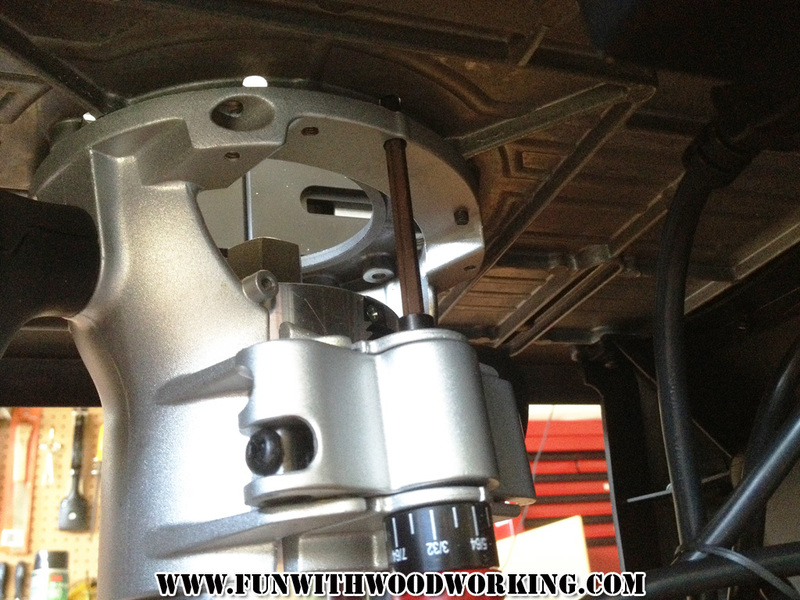 The table has a hole in the top for adjusting the height of the router. I am using an allen wrench for now but would like to buy a t-handle wrench for it. Sears had a t-handle kit for $39.95 but I don’t want to spend that much money. I just want to get the one to fit the router. 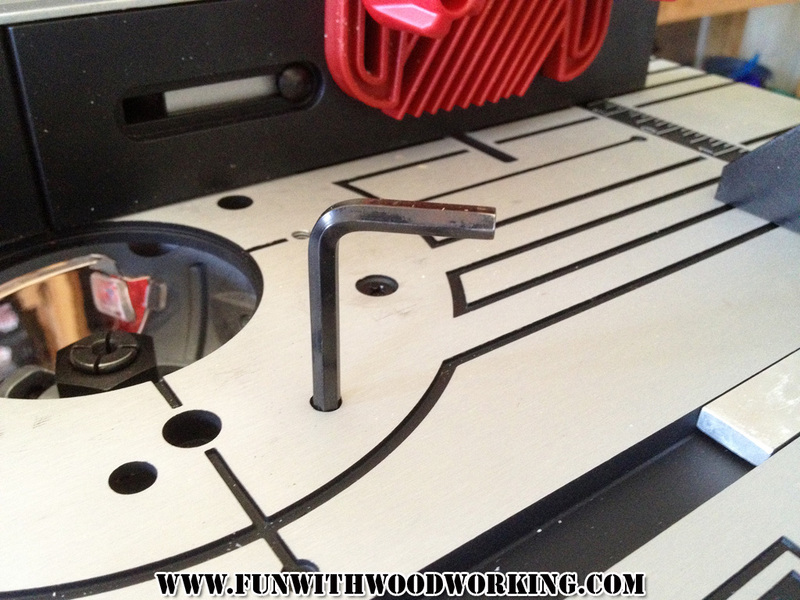 This is the allen wrench coming through the table top and into the router. The plastic handles on the sides are a nice touch. They make the table comfortable to pick up. 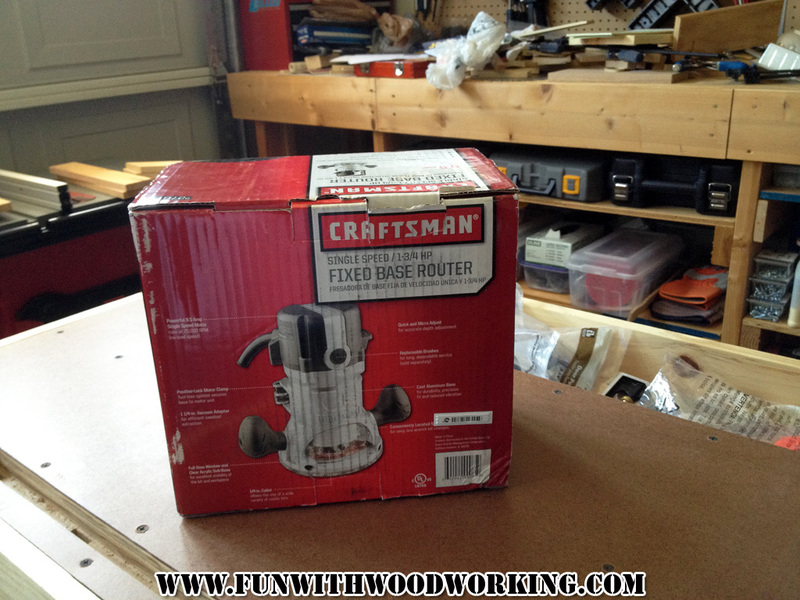 You have a great router table. I love this table !